Bizarre cast recordings – marked “internal use only” – revealed full-throated Broadway-style musical shows about some of the most recognizable corporations in America: General Electric, McDonald’s, Ford, DuPont, Xerox. They also featured writers and performers who would become legends, such as Chita Rivera, Kander & Ebb, Florence Henderson, and Bob Fosse. Steve didn’t know anything about musical theater, but these recordings delighted him in a way that nothing ever had. 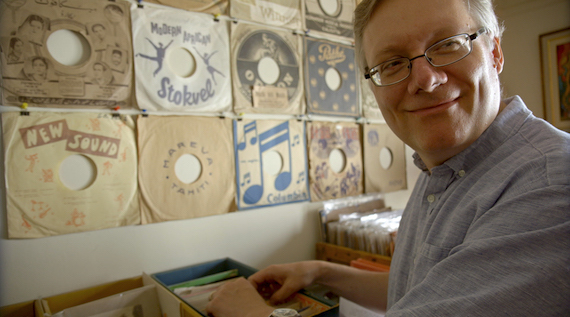 Bathtubs Over Broadway follows Steve Young on his quest to uncover all he can about this hidden world. While delving into treasure troves of forgotten archives, tracking down rare albums, unearthing unseen footage, and rediscovering composers and performers, Steve comes to form unlikely friendships and discovers how this discarded musical genre starring tractors and bathtubs was bigger than Broadway.